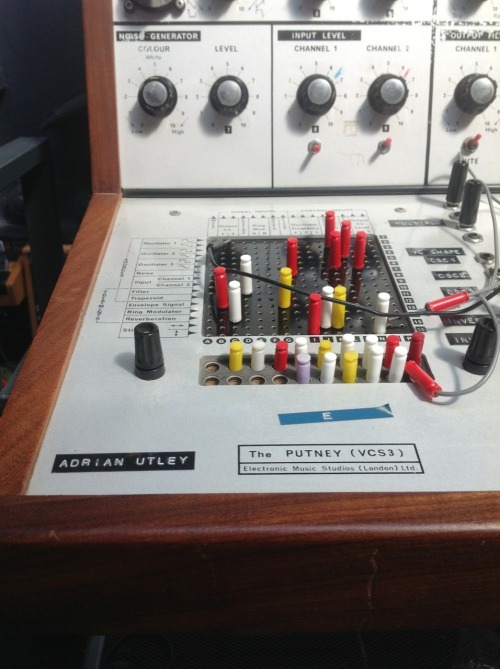 Adrian Utley is as well known for his guitar work as he is for his devotion to using synthesizers in his productions. 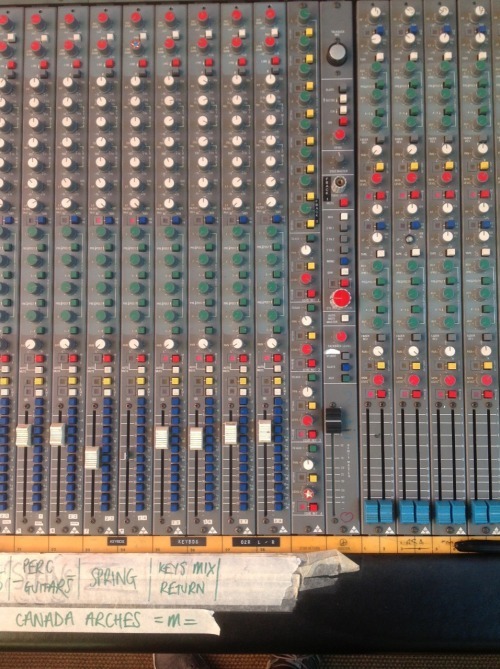 With a string of collaborations and production credits, Adrian works with the best: Goldfrapp, Massive Attack, Get The Blessing (Ade is an accomplished Jazz guitarist), Tom Jones, The Coral and others. You can't of course ignore his long term involvement with Portishead , who's seminal album Dummy launched a whole new genre of dark, hip-hop influenced, atmospheric music. 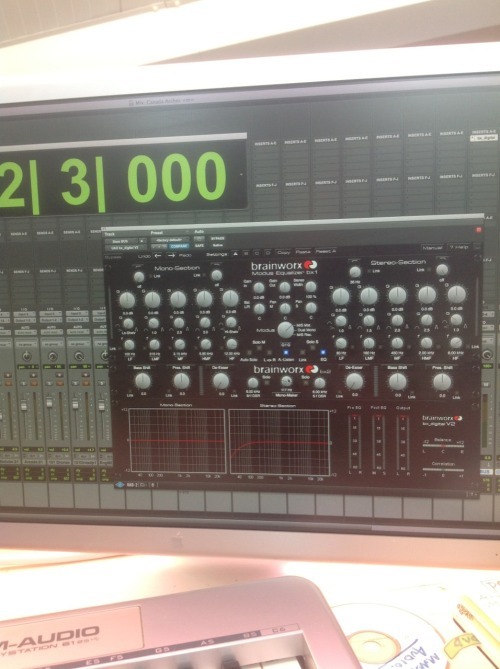 Today Adrian is working on the final of a series re-mixes for Real World Records act Spiro. 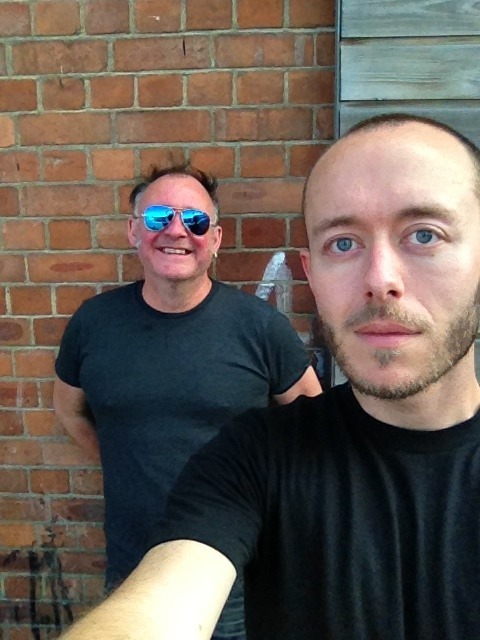 Thanks to Tim for his brilliant work, whos back off on tour with Bat For Lashes on Monday, so I won't be seeing him for a couple of months. 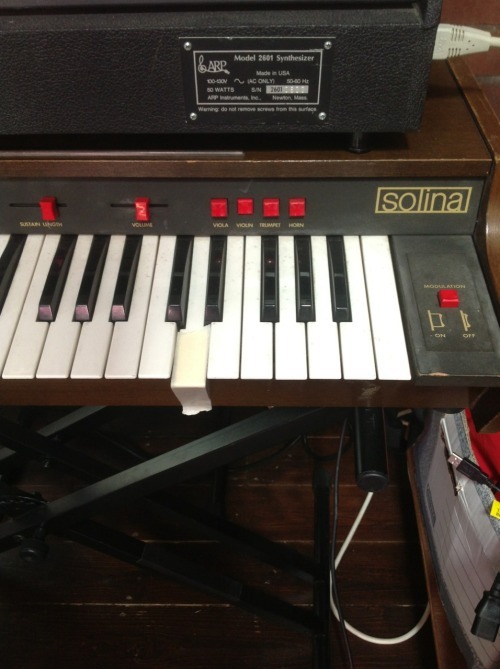 Really the only way to play a Solina.. 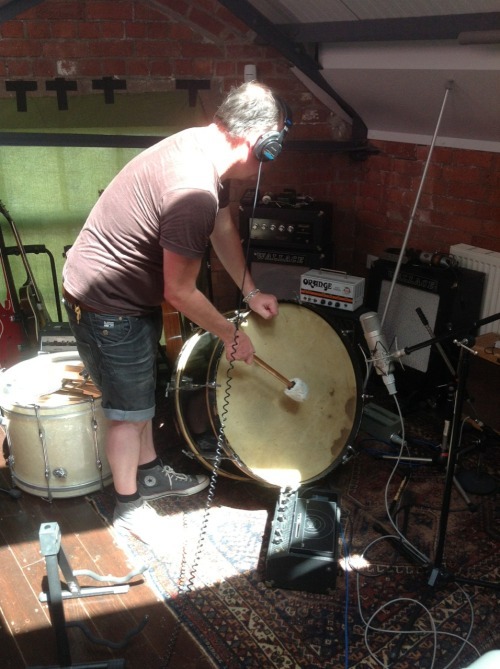 I am working on some Moog remixes of my friends Spiro, who are a very acoustic four piece with violin, mandolin, accordion and guitar, signed to Real World Records. 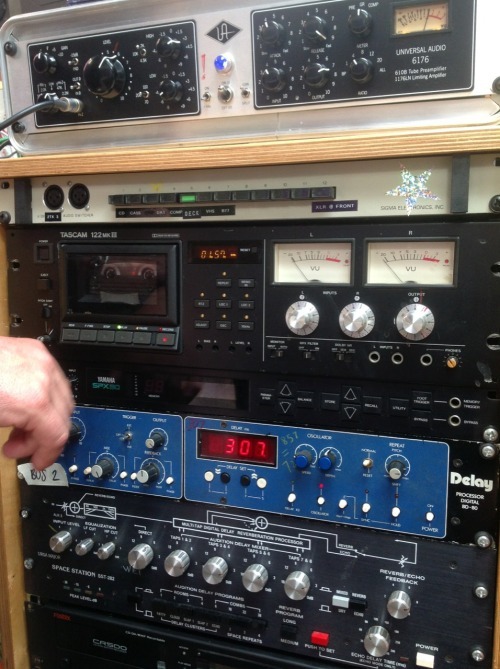 I am working with TJ Allen, who is engineering and programming, to a ridiculous deadline. 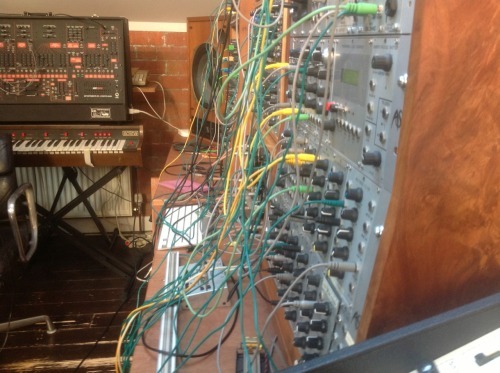 We are using MIDI files provided by the band, which are then going to MIDI to CV converters to some of my old synths - Mini Moog, Moog Modular, Oberheim Two Voice, Jupiter 4, Maxi-Korg, SH101 and the ARP 2600. 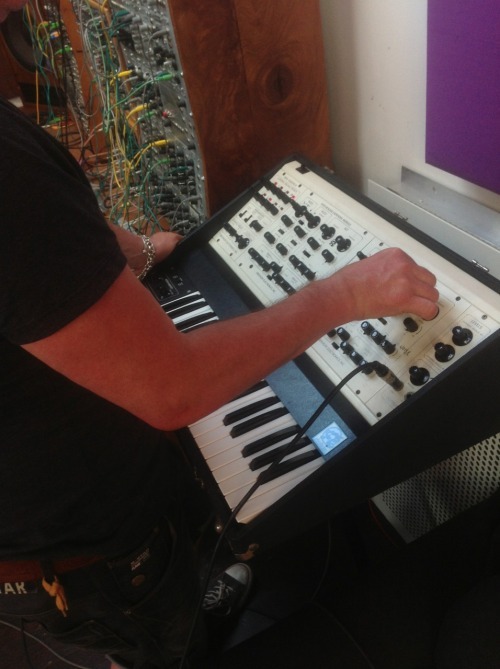 The studio is insanely hot today, and the synths are going mental, which is fun….! Still hot, still too much to do... 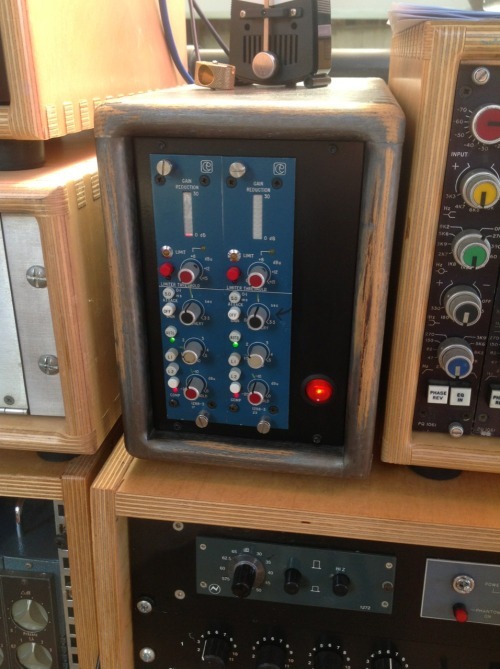 But the 101 and blue delay are making us happy.